It’s healthy for your child to spend plenty of time outside, especially if they spend the rest of the day cooped up indoors. Unfortunately, the garden can be an unpredictable place for a young child, so you can’t leave them out there unprotected for long: knowing how to childproof your garden is something that all new parents should know before they set their little ones loose on the outside world. 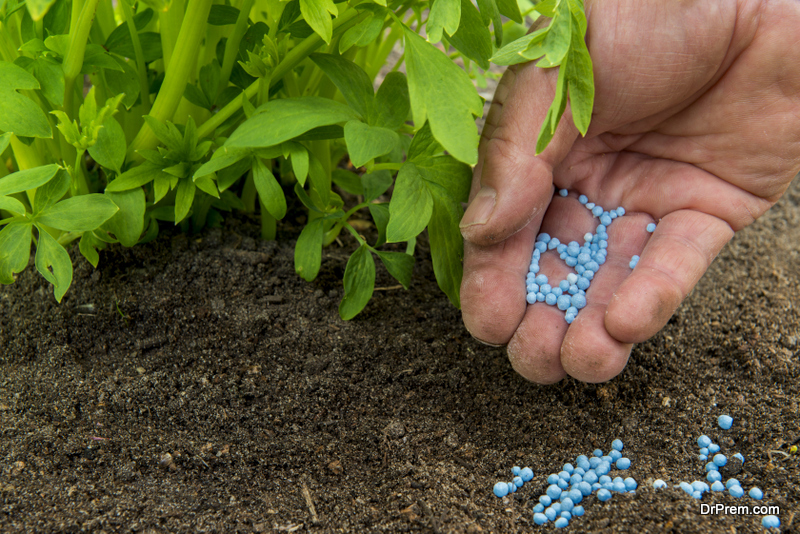 Most gardens will have a bottle or bag of chemicals somewhere, even if you hardly use them – fertilizer, weedkiller and plant food are all incredibly dangerous to a child, and the brightly-coloured packaging might appeal to them more than you’d expect. The obvious solution is to just move them behind a locked door or to the top of a shelf, anywhere that a tiny child can’t reach. This also applies to patches of exposed ground – if you use any specialised plant feed or treated soilfor growing larger and more exotic plants like palm trees, make sure it’s out of the child’s reach. Since these chemicals often spread a fair distance through the top-level soil, a blanket or mattress might be needed to cover up that part of the ground. Wooden fences are one of the most common ways to mark a garden border, but older untreated wood might lead to unexpected splinters. There might also be holes your baby could crawl through into neighbouring gardens, which could have anything from stinging nettles to very territorial dogs hiding in them. Baby fences, safety gates and outdoor playpens can be a great way to let your child experience the outdoors from a safe section of your garden. They’ll be reusable, too, so you can try out different spots and angles to find the best mix of shade and sunlight. 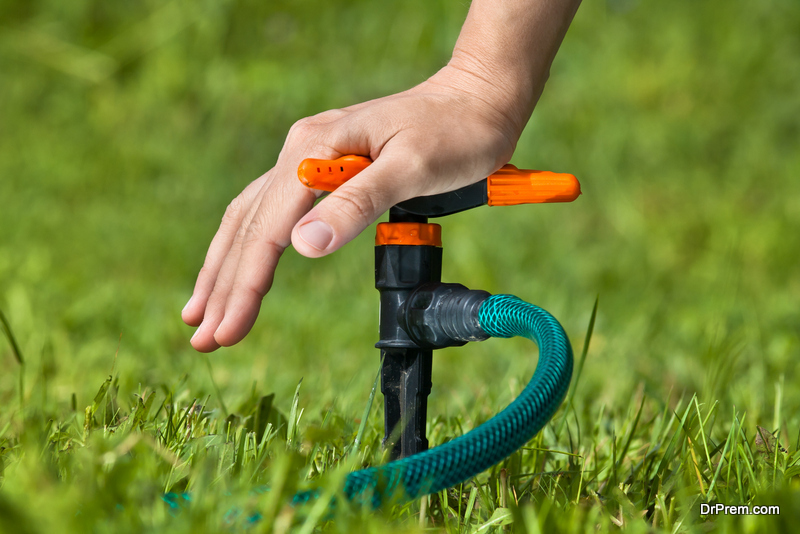 Everybody knows that pools and deep streams can be fatal to a child, but even something as simple as a garden sprinkler or artificial water feature can be dangerous to them. 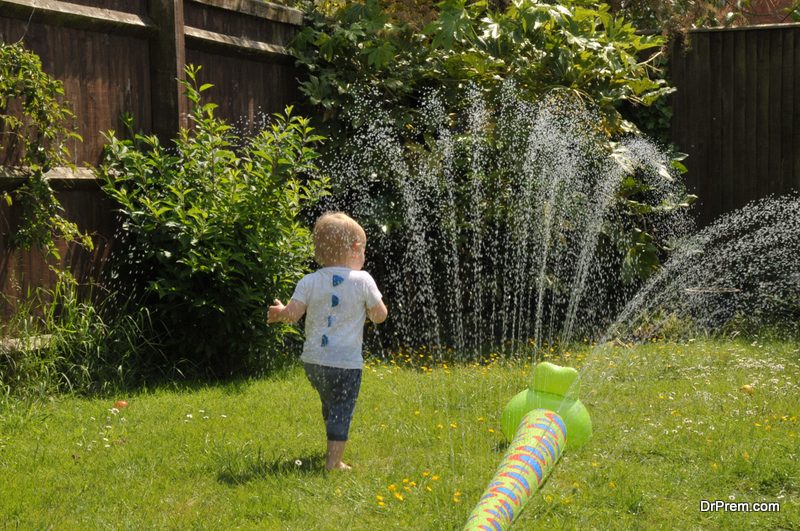 Younger children who don’t know any better might not even recognise that there’s water in the way, which could lead to them getting sprayed in the mouth or eyes while exploring the garden. Older children, on the other hand, might try to drink the water if it looks clean enough. In both cases, they could end up getting ill from the dirty water. In colder months, this could even lead to them getting a cold or ruining their only warm outfit. To avoid this, make sure that all active water sources are carefully controlled and can be turned off without leaving the garden. Older children, especially those that are old enough to walk and talk by themselves, will usually still have a habit of “thinking they’re invincible”. As tempting as it might be to add all kinds of safety gear to your garden, you don’t want to pamper them too much. For example, if they aren’t supposed to be in a swimming pool and don’t know how to swim, don’t leave inflatable armbands nearby for them to use: they might try to “prove that they can do it” and hurt themselves, especially if there’s nobody around to save them. The clear colours and shapes of most plants and flowers will be incredibly interesting to your child, and chances are they’ll try to eat one when they’re hungry. Some are toxic, some are thorny and some are simply so horrible that younger children might cry and scream until the aftertaste goes away. Bring a lawnmower or some shears to your garden and cut away anything that might be dangerous to their health – if it’s too difficult to track them all down, put a child-safe blanket or mattress over the area instead. Otherwise, replace them with something safer – pre-grown olive trees, like those sold by Olive Grove Oundle, won’t produce anything harmful or toxic if your child starts to snack on whatever fruit they can reach.